Today several places in the Northern Hemisphere have the longest hours of sunlight of the year. This however can be taken to the extreme. On Summer Solstice, the North Pole gets 24 hours of daylight. Talk about sleep deprivation. I have visiting Stonehenge during a summer solstice on my list of things to do. Not this year, but hopefully soon. If you are in Seattle go to the Fremont Fair. This famous/infamous fair has a little bit of something for everyone. Or attend a Native American ceremony. Or go to a performance of Shakespeare’s Midsummer Night’s Dream. For luck, make sure you turn around three times clockwise after waking up on the morning of the Summer Solstice. 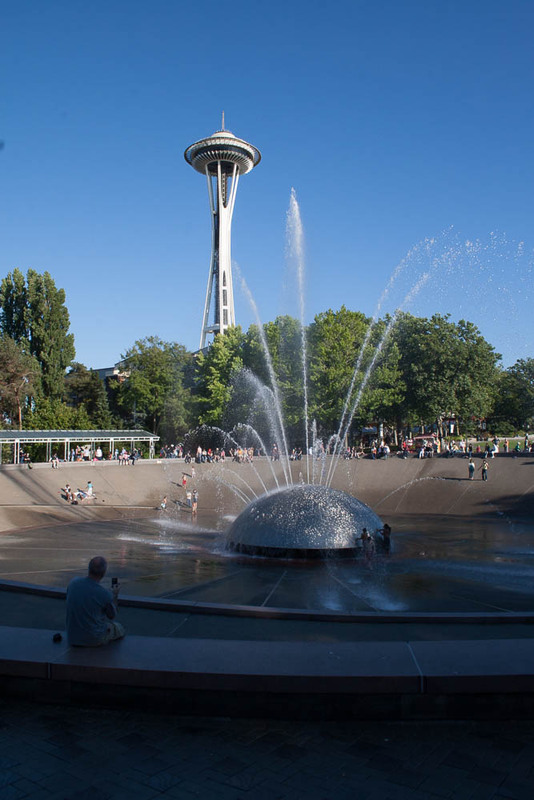 Fremont is its own “Center of the Universe” within walking distance of downtown Seattle. At least what I consider walking distance. Most people would take cars. The fair features the Seattle Art Car Blow-Out with over 75 “art” cars decked out in every manner of decoration. There’s a dog parade, solstice-inspired yoga, buskers of every conceivable type (chalk artists, musicians, jugglers etc.) and then there is the 2014 Solstice Parade. The Solstice parade has marching bands, floats and all the usual cast of characters. It also has the famous or infamous (depending on how you look at it) Solstice Cyclists. “The Painted Cyclists have long been a fixture of the Fremont Solstice Parade – an event created and produced by the Fremont Arts Council. The parade is a fantastic and whimsical celebration of the return of the sun, complete with larger than life puppets, floats, and street performers. However you decide to celebrate the solstice, I wish you fun and adventure. Do I have to ride naked? Of course not, some cyclists chose to wear a little something. Try flesh colored undies for the ladies and speedos for the guys. How long does it take to be painted? Depending upon the complexity of your design, painting can take from 45 minutes to 4 hours. If your design consists of a base coat with detail on top, you’ll need to leave time for the base to dry plus time for the whole thing to dry before we ride. Will the paint come off? Eventually. Your best bet is lots of warm, soapy water, a washcloth, and a friend to scrub between your shoulder blades. Most paints come off in little flakes so I recommend using a hair snare in your drain to prevent them from mucking up your plumbing. In 2004, I discovered the miracle of “pressure washing”. I attached a spray nozzle to my garden hose, stood in the middle of my yard and turned the water on, adjusting the nozzle until the water was a concentrated jet. This essentially peeled the paint right off my body. Combined with some sea salt and Dr. Bronner’s and I was clean in a record 30 minutes! It’s probably not a bad idea to stand in a kiddie pool or on a tarp to keep the paint flakes out of your lawn. Last year, I experimented with dry scrubbing first. I used an old, rough washcloth to gently abrade the paint off and then lathered up and rinsed. Like a charm! I’m a little, um, hirsute. Will my body hair affect my paint? You can definitely be painted over body hair although it can be a bit trickier to get an even coat. Body hair also makes removing the paint more difficult and more painful. Some folks get into the hair removal aspect while others chose to go au naturel. It’s up to you.